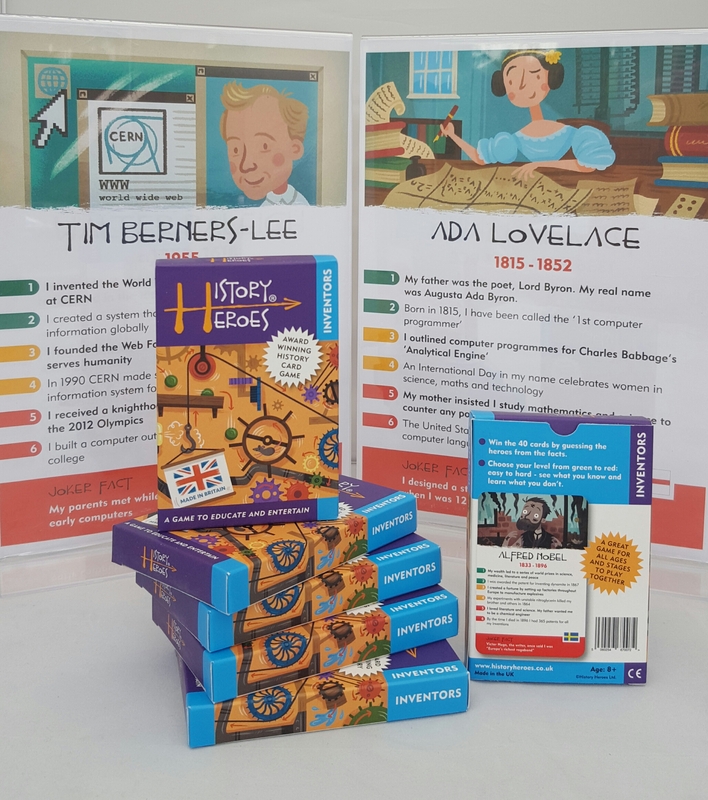 History Heroes: INVENTORS quiz card game includes individual cards of 40 inventors, who have changed our world with inventions we see and use every day.Each card is fantastically illustrated to represent the specific Inventor and shows their dates, their flag of birthplace and seven memorable and often moving facts about them. 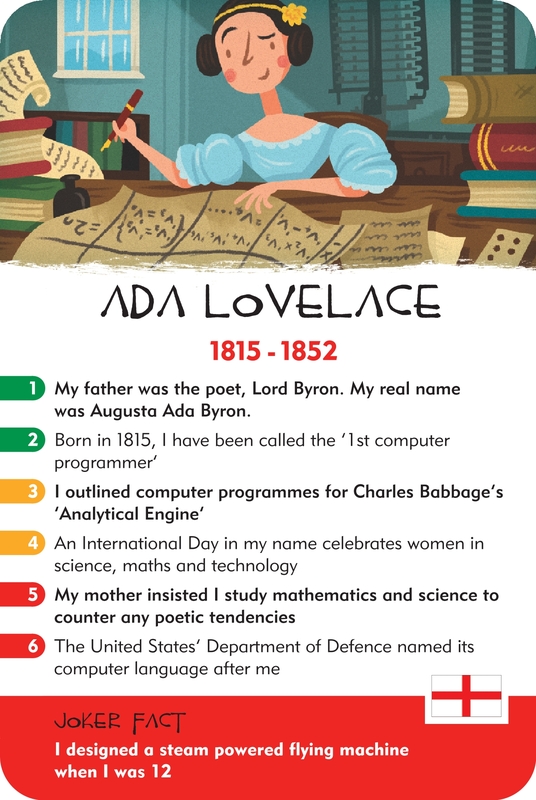 Which inventor, most commonly linked with a peace prize, was the brains behind dynamite? 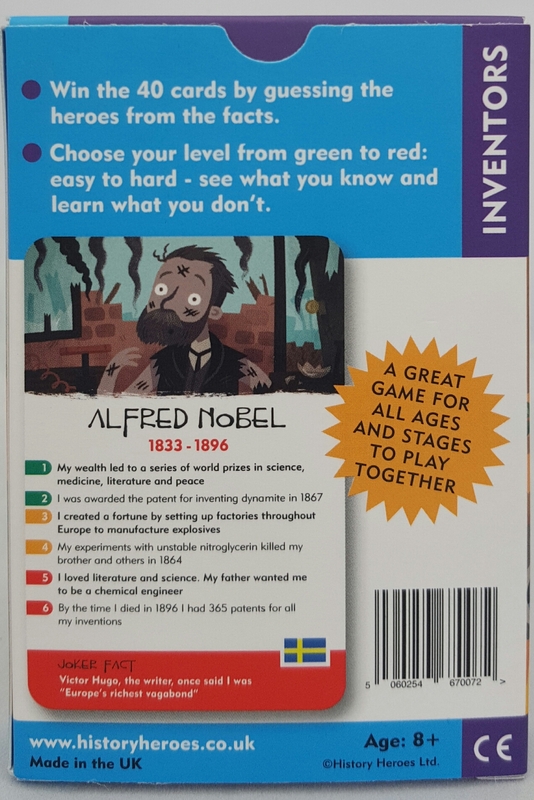 The answer: Alfred Nobel. 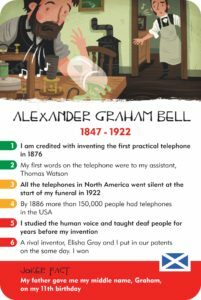 Did you know that Alexander Graham Bell, inventor of the telephone, received his well-known middle name as an 11th birthday gift from his father? 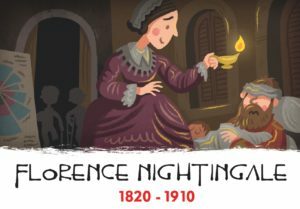 And, whilst most might know that Florence Nightingale was the founder of modern nursing, how many realise that she is also credited as the inventor of the mathematical pie chart? 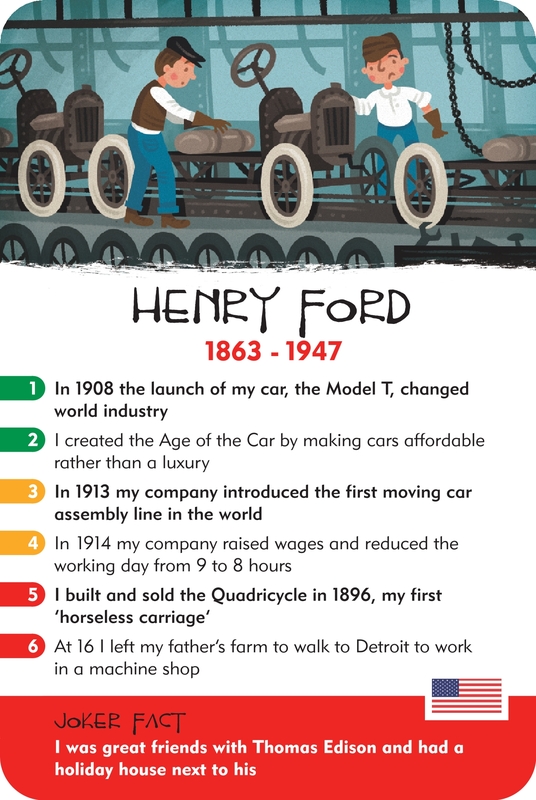 Test yourself with these facts and many more in the game. 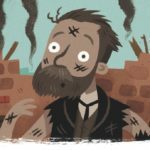 Test yourselves and learn about these inventors and all the other of the 40 fantastic inventors, each with their own card and seven fascinating facts. 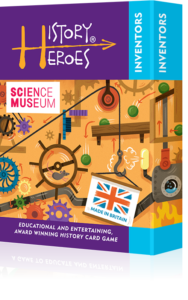 There are many ways of playing History Heroes: INVENTORS card game. 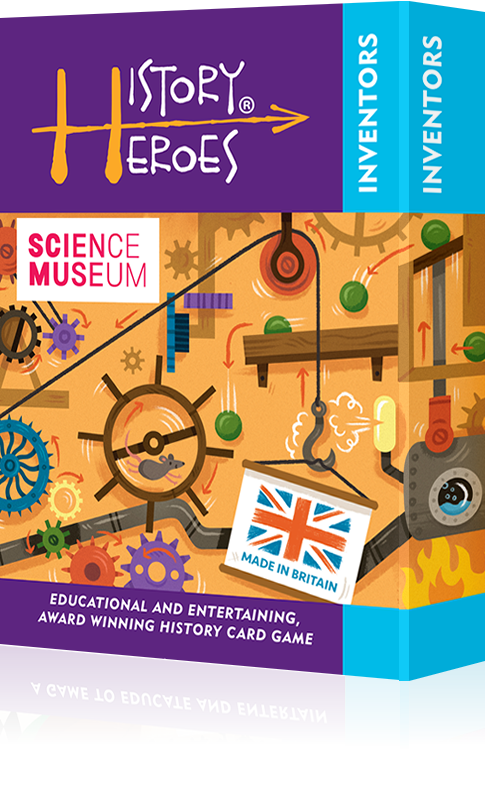 Included in each game is a ‘how to play’ card and you can make up your own rules as long as everyone playing agrees to them! The aim is simple: you win the game by winning the cards and you win the cards by guessing/knowing the facts. You can use the images as clues and you can use the different levels of facts to make it as easy or as hard as you want to play the game. You can also play the game at different levels within the game so that all ages and stages can play together. The green facts are the easiest working down to the red facts, the most difficult. You can, of course, use the joker fact at the bottom, too, to overrule them all!